Kirsten Jahn Richardson is Daisy’s official paparazzi, biographer, videographer, photographer, webmaster, visual designer, and mass organizer. She’s come a long way since joining the team as a student in 2001: Kir has earned her B.S. in Digital Media Arts from Canisius College, gotten married, and found a daytime job as an Art Director for DiD. Other than that, though, not much has changed. Kir still spends her nights slaving for the Daisy, only now in a more managerial role. She has brought her professional skills, personal obsessions with organization and efficiency, and vast (too vast??) knowledge of Apple computers to the students. 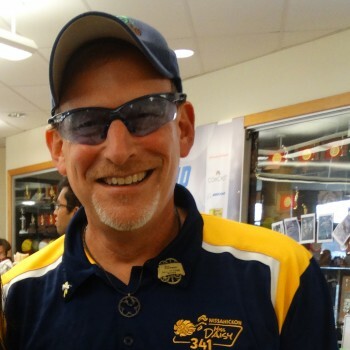 Aloof to us all, Adam Nedorezov first joined the team in 2002 after his 9th grade physics teacher, Mr. Ostrow, kept showing team propaganda in class and rejoined us as a mentor in 2014. 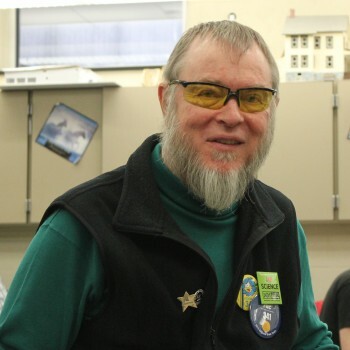 On the team, he was an operator of the robot and now he is our pneumatic and electrical systems mentor. Adam got his B.S. 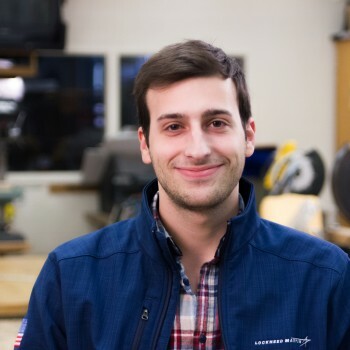 in Electrical Engineering and currently works as an R&D Engineer at The Applied Research Lab at Penn State and recently completed his Master’s degree. 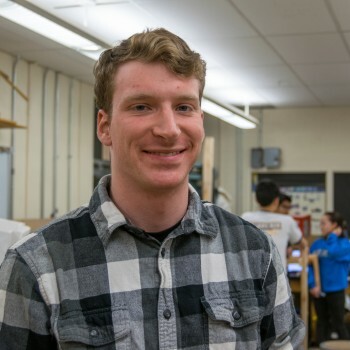 Sean Stevens graduated from Wissahickon in 2012 and now attends Drexel University for electrical engineering. He decided on that major because it “poses new problems everyday and is more complex than other engineering.” He hopes to work for any type of robotics company in the future. Sean came back to the team because he loves the environment and wants to give back to the community. 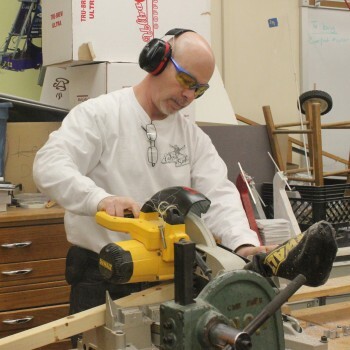 Lou Orehek began his journey with the team after seeing several of his students join and pass through the program. After seeing the success of both the team and his children, he felt inclined to offer his help wherever necessary. With a Bachelor’s degree in computer engineering, he is currently employed at Comcast. He offers video services and is equipped to take on a variety of challenges. 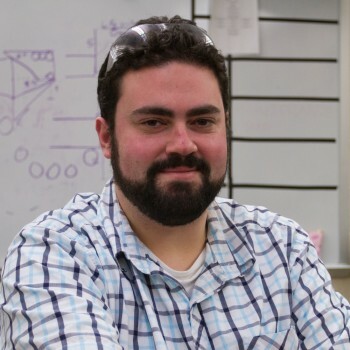 On the team, he helps with programming, the pit display, and assisting students carry out their goals. 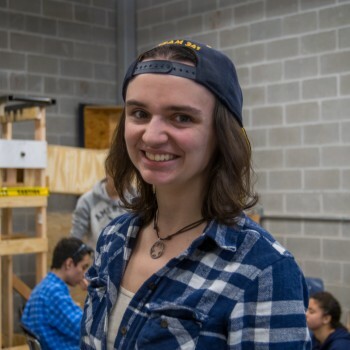 Kara Bakowski moved to Philadelphia from Michigan, where she was an FRC student on Team 1189, the Gearheads. With a B.S. 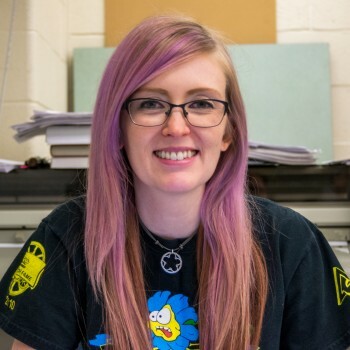 in Materials Science and Engineering from Michigan Technological University, she was more than ready to come be a part of the FRC scene once more, and used the FRC team tracker to find a team to mentor. Her career as a metallurgical engineer for ArcelorMittal helps her as a mechanical and build mentor for the team. Frank Gorham-Engard started working with the team in 2014 when Comcast asked him to serve as a mentor. As an Ambler native, he enjoys helping the younger generations in his community succeed in developing technical and planning skills. He dedicates much of his time to ensure that team operations run smoothly. Frank uses his software and computer-embedded systems background to assist the team in many ways. Scott Richardson has been hanging around Miss Daisy since 2007. He quickly realized that in order to see his wife, Kirsten, from January to April each year, he would need to embrace the robotics team. Taking it all in stride, Scott decided to put his Bachelor of Science in Digital Media Arts from Canisius College to use and come on part-time as a media coach. 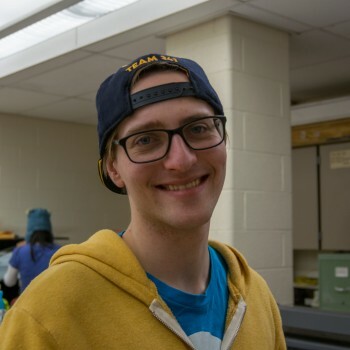 He states that “no one likes to watch a horrible video,” and offers his production knowledge and graphical skills to assist media team students in the production of their projects. When he isn’t working behind the scenes of a Daisy media project, Scott works full-time as a motion graphic designer and videographer. David is new to the world of FIRST® Robotics, after being introduced to the team in 2016 by Jenni Herchek. He studied Mechanical Engineering at Johns Hopkins. David currently works for Globus Medical, designing spinal implants. When he’s not working or helping the design and CAD subteams, he enjoys traveling around the U.S. visiting new places. Scott England’s journey with FIRST began when the World was young, when FRC was a more savage place. Before COTS parts, before bumpers, even before alliances. In that time he’s worked with 4 different teams (122, 401, 118, and 341). Scott got his B.S. and M.S. in Engineering Science & Mechanics from Virginia Tech. He spent the first 11 years of his engineering career at NASA Johnson Space Center playing with Astronauts and can personally verify that microgravity is as much fun as it sounds. Scott recently took a job doing human factors engineering for Johnson & Johnson to be closer to his ancestral homeland of the Northeast. 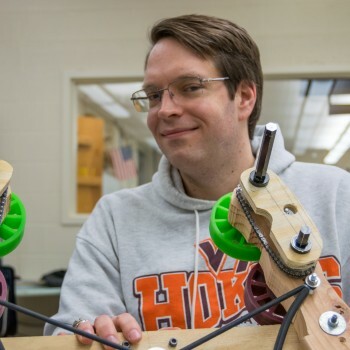 With Miss Daisy, Scott can usually be found huddling over a 3D printer or working with students to prototype overly-complicated mechanical systems. Mr. Ostrow began as a small child. He then grew up. After spending his time gathering various degrees (B.S. in Mechanical Engineering from Temple University, M.S. in Mechanical Engineering and M.S. in Education from Drexel, and a 2 year Associate Degree in Drafting and Design from the American Institute of Design), working as a draftsman for an engineering consulting company, engineer for Keebler Company (think delicious snacks), and an engineer for Gemini Bakery Equipment, Mr. Ostrow finally decided to settle down and start a family…. a robotic family. 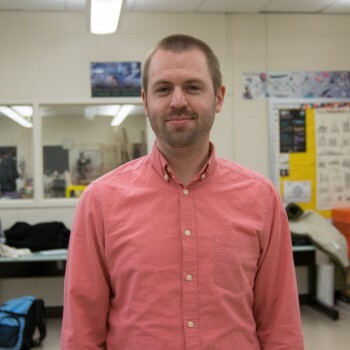 After teaching at Wissahickon High School for only one year, Mr. O became inspired. Thanks to a random promotional email, Mr. O stumbled into his first FIRST® competition. The rest is history. Now, more than 15 years later, he can be found in the shop, in the classroom, or on the computer (but never sleeping) still working to help Daisy succeed and grow. Whether he’s telling stories of his days as a Keebler Elf, searching for bargain bulk plane tickets, sketching robot designs, or hosting team meetings, Mr. Ostrow has been (and will always be) a driving force behind Daisy’s success.